Looking to become your own boss? Jamie's is the best place to test out your skills with little overhead and a small commitment (starting at only $28 a week), you may find you really are a pro! This is a great way to expand or start your own business. Maybe you're just wanting to down size your home goods. Whatever the case, Jamie's is the place to be! Stop by any Wednesday or Saturday and we'll be happy to show you what we have available for spaces and help get you started. Our outside spaces are open year-round. You’ll find some diehard vendors offering bargains galore! Or you could rent your own outside space for only $5 per day (price changes April 1st for outside spaces). Be sure to follow us on our Facebook page so you don’t miss any of our special events throughout the year. This is also another great way to keep up with some of the many products our vendors have to offer. Stop by our office and mention you read this for a free gift, while supplies last! Shop Small, Shop Local, Shop Jamie’s Flea Market this Saturday. There are many benefits to buying local this Christmas season. We understand our customers have plenty of options when shopping this holiday season. Traditional department store retailers are still around and the popular online shopping is gaining in popularity with each Christmas season. But many shoppers are looking to shop local this season and such a decision can benefit both the small communities and the shopper. Free photos with Santa! Hourly drawings for gift certificates. If you're a Browns fan or are rooting for the Steelers on Nov. 15th, Jamie's says: Prove it! Wear your team's colors and enter the Football Fan Basket raffle - there's one for each team. Get an extra raffle ticket if you wear your favorite team's shirt. Come join us as we celebrate our Veterans and Military families! 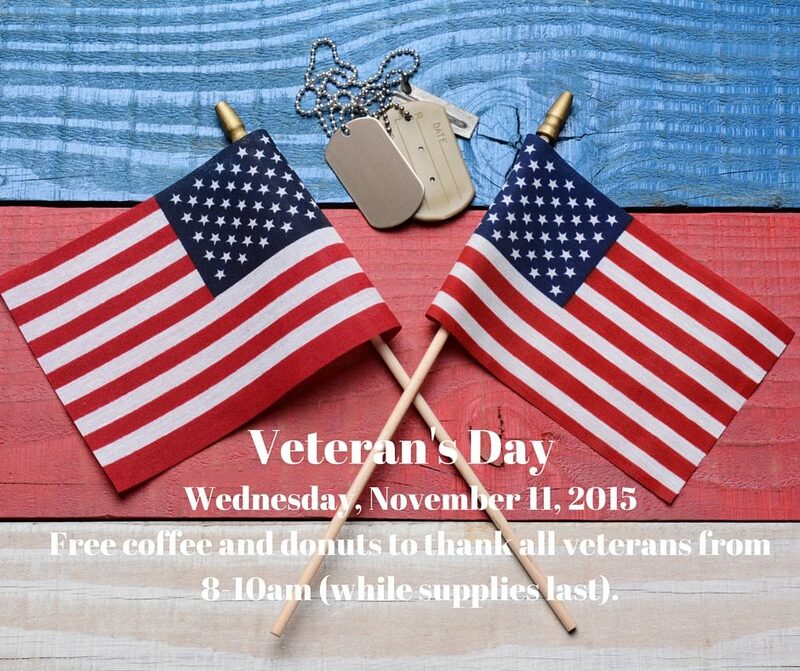 All active, retired and former military (anyone who has served) will receive free coffee and donuts to Thank You for your service, 8am-10am or while supplies last. Bring the family out to enjoy a fun filled day at Jamie’s Flea Market. The fun starts at 8am with Trick-or-Treat. Vendors will be handing out candy until supplies last. Look for the orange balloon, this will signify the vendor is participating in trick-or-treat. The sunsets are coming earlier, temperatures are drifting downward and fruits of the season are ripe. As autumn arrives it always strikes me how quickly the year has gone by. It seems like yesterday I was preparing to rake the leaves and preparing my apples for a delicious apple pie. Vendor highlight: Each month we highlight one of the vendors at our wonderful Ohio flea market. This month, meet For That Perfect Touch, located in the East building in booth 105. They handcraft Faberge Style Egg Art and Infant Layette Sets. Jan is the owner of “For That Perfect Touch and has been in business for 13 years. Jan loves talking with people and telling them the story behind the design, she gets her inspiration from her family and other artists. Stop by today! As I was strolling down the endless aisle of vendors at our flea market here in northeast Ohio last Wednesday, I saw the unlimited potential to repurpose items from common things I generally see at the market. I was in the Fall, Pumpkins and Gourds mind set. Jamie's held their first Annual Apple Pie Contest Saturday September 26, 2015. James Seabold came in 1st Place with Patricia Lewis coming in a close 2nd with only 8 points between them. Thank you to the judges Micheal Kiedrowski of Kiedrowski's Bakery, Janice Ingersoll former owner of Jamie's and Dave Leshinski President of the South Amherst Council. Can't wait to do it again next year. Fall has arrived at Jamie's! Fall is here and there are certainly signs of it here at Jamie’s Flea Market. I love strolling through the market on a nice autumn day. Seeing the vendors transition from summer to fall is always exciting as their booths change with the season. For some vendors this means adding fall scented candles and fall décor. For others, it means transitioning their fruit stands from Strawberries to Apples, Pumpkins and Gourds. One thing is for sure, I love the shedding of the beautiful colored leaves from the deciduous trees. Click to watch My Ohio with Leon Bibb at Jamie's Flea Market. Martha Jamie founder of Jamie's ( along with husband Bill) will turn 99 years old on June 27th. The Staff and Vendors of Jamie's Flea Market would like to wish Martha a very HAPPY 99TH BIRTHDAY!! Michelle Griffith, a social media expert and former Jamie's vendor, will be jazzing up Jamie's online presence. Check out Facebook and Pinterest to see what's new and different from our vendors. On Saturday, August 2nd Jamie’s Flea Market, Northern Ohio’s largest flea market, will celebrate its 40th year as a flea market. Jamie’s is family-owned business that began as an auction house and furniture store in the 1960s. The flea market is a source of income for hundreds of indoor and outside vendors, and each week attracts thousands of shoppers and tourists from Ohio, neighboring states and beyond. ABC's events, entertainment and travel show, Out N About in Columbus, came to Jamie's Flea Market in Amherst, OH today. ONA airs on ABC WKYC Channel 6 on Sundays. Julie Evelina Sherman is the 5000th person to Like us on Jamie's Flea Market's Facebook page. Thank you and keep on spreading the word. Julie, please contact us to receive your gift certificate!! Congratulations!!! There were 30 outside vendors on March 15, but April 2 is the official opening of our outside season! Jamie's Annual Christmas Special was held Sunday December 1st. 200 children were able to visit with Santa and receive a free picture with him. Over $700 in Jamie's gift certificates were given out in our hourly drawings. It was a great day to start or finish your Christmas shopping and purchase that unique gift that can only be found at Jamie's. Family Fun Day is also a time for giving. Aug. 3rd was full of fun and generosity. There was a food drive, and for the second consecutive year Jamie's donated $1500 to Second Harvest Food Bank. Giving back to the community is part of who we are, and on behalf of Second Harvest, we thank everyone who gave to the food drive. Come meet Felix Wright on Saturday, August 10th at Big Ron's Collectibles from 10am to noon, located in the East building (booth 153) near the front, close to Kiedrowski's bakery. Felix Wright played safety for the Browns from 1985-1990 and led the NFL with nine interceptions in 1989. In 2012, the Cleveland Plain Dealer named Wright the 87th best all-time player for the Browns. Memorabilia will be on sale, and for $2.00 Felix Wright will sign any item you bring in or purchase. The Morning Journal Reader's Choice Awards have voted Jamie's the Best Flea Market in 2013. Jamie's general manager, Lorna Ingersoll, thanks the readers for their recognition, "we are honored to be voted the Best of the Best in 2013. Jamie's is a traditional flea market, and this make Jamie's a popular year-round shopping destination." The Reader's Choice Award comes on the heels of Lorain Pulse's nomination in the Best Antiques category for the second year in a row. “Where Treasures can be Discovered” is the winning slogan for the ad designed by Chayce, of Firelands Elementary School in Birmingham. Chayce's ad will appear in the April 7th issue of the Elyria Chronicle Telegram. Jamie's first-ever booth promotion means more choice than ever in both the East and Center Buildings. The Center Building welcomes 6 new vendors. The East Building has 6 existing vendors expanding their booth space and 3 new vendors in business. Mike Brookbank puts Jamie's Flea Market on the List after a visit on January 16. Watch to learn best practices on saving money and bargaining. Congratulations JC on Oscar nomination! Jamie's congratulates Jessica Chastain on her Oscar nomination for Best Actress in Zero Dark Thirty. Jamie's Flea Market has a Drop Box for the 2012 WOBL/WDLW Tighty Whitey Christmas Campaign. Bring in Brand new undergarments for Women, Men, Teens and kids now through December 8th. All donations will help those less fortunate in Lorain County. Help us help others. Being thankful for our customers is what Saturday was all about. 7 lucky winners won a $25.00 Gift Card to Giant Eagle from our Turkey Giveaway Event. We would like to thank all our customers and vendors and wish everyone a Happy Thanksgiving!! Halloween was a success at Jamie's on Saturday, Oct. 27th, with over 200 children walking the aisles Trick or Treating, as families had fun searching for the scavenger hunt items. Carlos Torres won the Scavenger Hunt and a $100 gift certificate. Nathaniel Rosado, Sarah Hildabrant and Sammy Sanchez each won a gift basket. Congratulations!!! The 2012 Lorain County Fair was a huge success!! We had Treasure Chest winners everyday! Thank you to our past, present and future customers for stopping by our booth and we look forward to seeing you at Jamie's soon. On Aug. 4th Jamie's Flea Market will donate $1500 and food items to Second Harvest Food Bank as part of Jamie's efforts to give back to the community. Jamie's will also sponsor a Family Fun Day food drive benefitting Second Harvest. 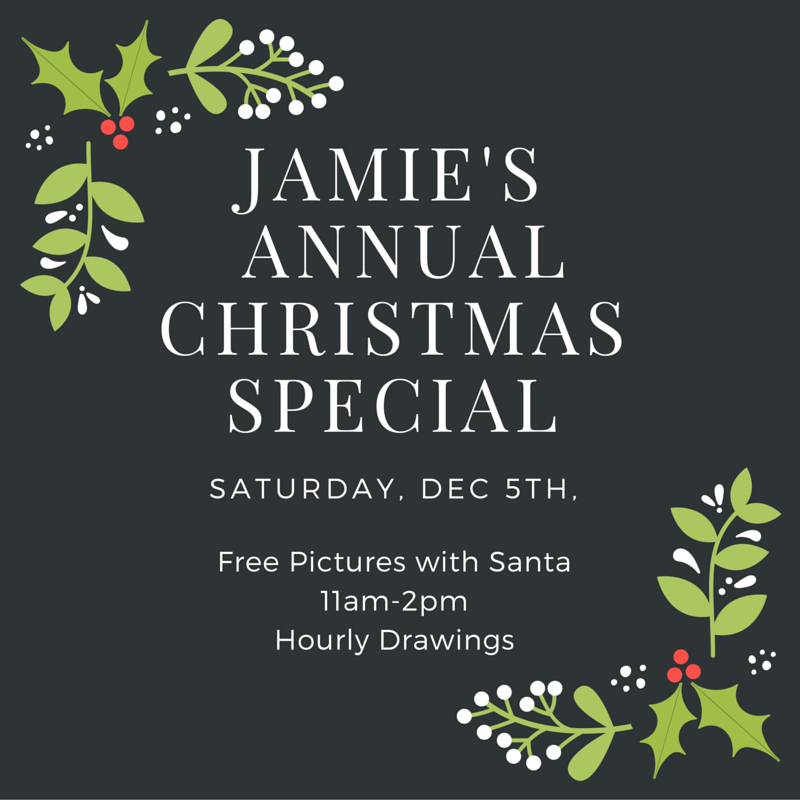 Visitors who bring a canned good or non-perishable item will receive a raffle ticket for a chance to win Jamie’s gift certificates or dinner at a local restaurant. Lorna Ingersoll, General Manager of Jamie's Flea Market, was interviewed live on WOBL/WDLW radio of Oberlin. Lorna talked about how to become a vendor at Jamie's, as well as what the thousands of shoppers who come every week can find at Northern Ohio's largest flea market. In the Best of Cleveland 2012, Jamie's Flea Market is Scene Magazine's Staff Pick for Best Bargain in Town. Jamie's Flea Market ranked No. 5 on Fox 8 Cleveland's Enger Hot List for the Best Antiques in town. Mike Kilburn of The Deal Detectives takes you on a guided tour of Jamie's. Watch the clip. Kurt D. Moore of CBS writes: Being thrifty is the fad. Cleveland offers destinations to suit different tastes, from the cheap to the unusual to just plain vintage. Here are four of the city’s best thrift stores and flea markets in Cleveland.